The Lunar Festival has rolled around again, with a new selection of toys to pick up in exchange for coin gathering. WoW has no shortage of holidays, but they aren’t the only limited-time content the game has to offer. Raid achievements like Ahead of the Curve disappear after a period of time. In previous expansions like Mists and Warlords, Legendary quest chains were only available during the run of their respective expansions. 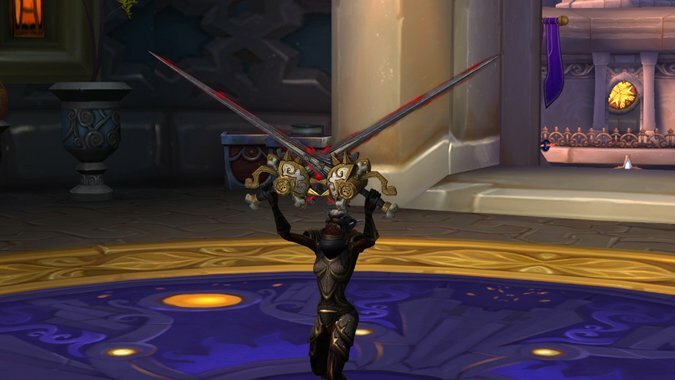 And of course, we have Legion’s mage tower challenge, which had plenty of people gunning to get unique appearances for their Artifacts. I stopped raiding a couple of expansions ago, so I don’t really dive into the raid achievements. I did jump into the mage tower challenges, partially for the appearances, but mostly to see if I could complete them in time. The Legendary chains were absolutely something I completed – in the case of Mists, the Legendary chain was a gigantic chunk of really amazing story to experience. But holidays? I don’t know – I can take them or leave them. There’s really no rhyme or reason to what makes me feel like doing that limited-time content, honestly. I think I just like feeling I’m getting something out of the experience. Raid achievements never really seemed like something that needed to be picked up, because you don’t really get anything for doing them. Achievement points are meaningless for the most part – it doesn’t stop me from completing achievements, but gaining a few more achievement points isn’t really enough of a reason to make me throw myself into raiding again. Things like holidays, however, are a mixed bag. On the one hand there might be new stuff to collect. On the other, holidays are only quasi-limited – they’ll be back next year right on schedule. Even though I might think I’m missing out, those rewards aren’t going away forever. They’re just temporarily unavailable. It’s much the same with the Darkmoon Faire. The Faire is only here once a month, but I know if I miss something, it’ll be back soon enough, so I don’t feel too inclined to finish everything immediately. What about you guys? Do you try to hammer out raid achievements before they’re gone for good? Are limited-time events or items something you go out of your way to grab? Has there ever been a point where you looked back on something that’s been removed and wished you’d done it while you had the chance? Do you feel like you’ve missed out if you don’t get it while you can? What makes limited time content worth the trouble for you?